As already stated in previous posts, one of the ways to make money publishing content on Hubpages is to link your Amazon affiliate account to Hubpages. In this post, we will learn how to set up an Amazon affiliate account using HubPages profile as our website on Amazon affiliate registration form. We will also learn how to link our Amazon account o HubPages and start making money with it. This post explains how to set up Amazon affiliate account from the scratch (for those who are not already affiliated) using Hubpages as your website. Go to amazon associate website. 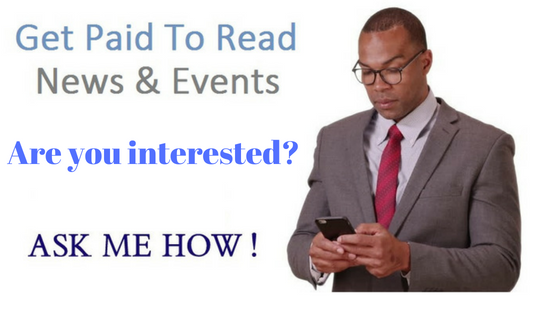 Click join for free and you will be taken to where you can enter your email address. Enter your email address and select "I am a new customer. Click on "Sign in using our secure server". You will be taken to the registration page where you can fill in your details. Be sincere in filling your details, as some of the information cannot be changed. Enter your payee information. This may be your details or the details of the person through which you will receive your money i.e. if you want to use another person's domiciliary account (for Nigerians where other Amazon affiliate payment options are not feasible. A domiciliary account is an account that will help you to accept and process foreign checks in Nigeria). For website profile, since you are not using your own website but Hubpages; enter the details of your HubPages account. Once you sign up on HubPages and published contents on the platform you will have a unique URL (your HubPages profile address) that will point to all your published contents. Enter this URL as your website URL. To locate your profile address, sign in to your Hubpages account and click on your profile, which is revealed when you hover your mouse over your name. Copy the address from the address bar and paste into amazon registration form. Enter what your website is about, which is the theme of your Hubs i.e. the subject matter you want to create Hubs on. The contents you publish on HubPages are called hubs. Select the type of Amazon products you want to display on your Hubs. Select content and niche as your website type. Select SEO for the method of driving traffic. Select contextual advertising and eBay for how you monetize your website. Select "Content management system" for how you build your links. For the number of unique visitors, you may choose "Less than 500" since you are just starting out. Select "To monetize my site" as the reason for joining. Select "Word of mouth" as for how you heard about us. Agree with the terms and conditions by checking the box indicated and you are done creating your amazon associate account using Hubpages as your website. The Next thing to do is to choose your payment options. Amazon has three payment options. Payment by check which is the only one recommended for Nigerians living in Nigeria. Payment by amazon gift cards. For payment by check, $15 is charged for processing fee and a minimum payout of $100 (as at the time of writing this article). To receive your payment in Nigeria, you need to have a domiciliary account which must bear the same name you enter as your payee during registration. You can, however, change your payee information if you intend to use another person's domiciliary account. A good bank to consider for a domiciliary account is GTB. Finally, copy your tracking code and enter it to your Hubpages account in order to activate it. The other affiliate programs one can make money with on Hubpages are the eBay program and the Hubpages earning program. For the eBay program, you need PayPal account which is the only means through which eBay pays their affiliates. But quite unfortunately, Nigeria is one of the countries blacklisted in the PayPal program. Although a lot of people claims they can help you open and verify a PayPal account without any issue here in Nigeria, one cannot testify to the reliability of such claims, considering a lot of scams on the internet. 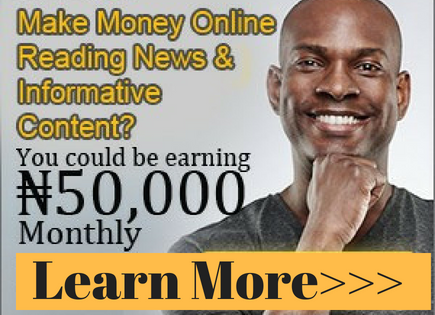 I still recommend you be contented with making money with the Amazon program and AdSense program. The key to success with both of them is hard work and consistency. For the Hubpages affiliate programs, you will need to provide your tax payment information before you can enrol for the earning programs and apprenticeship program, irrespective of your country of residence. This may not be feasible for many Nigerians, considering our tax payment system. 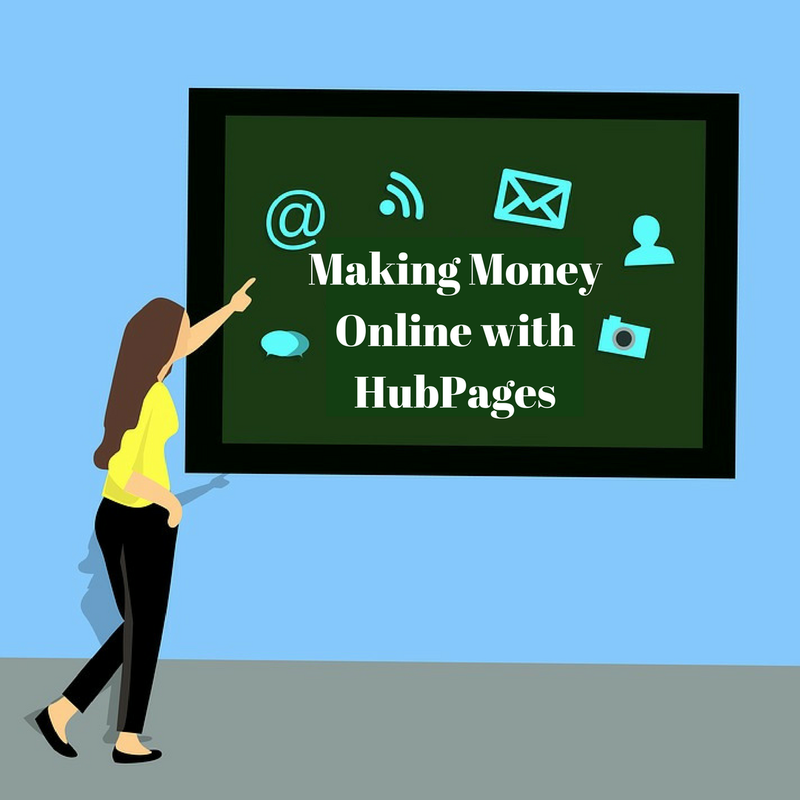 There is no better place on the internet to publish content without a website of your own (and make money from it) like Hubpages. Apart from making money publishing contents on Hubpages, it is a good way of getting backlinks to one's site (for those who have website/blog). For example, Hubpages allows one to provide two links to related articles on one's site, for every article published on Hubpages. But make sure that the topic of where you are linking to on your website is related to what you published on Hubpages, if not your publication will be rejected, deleted or your account banned. The content should also be of high quality and contains additional information related to the information in the article you are linking from. This article how-to-make-money-online-without-a-website-of-your-own explains the concept of making money online with Hubpages platform. As already stated above, one of the ways of making money online with Hubpages is Amazon and eBay earning programs. So let's quickly discuss how to link an Amazon affiliate account to Hubpages. Amazon capsules (what you use to display Amazon products on Hubpages is known as Amazon capsule) can be used in Hubs (contents published on Hubpages are known as Hubs) to sell products that pertain to your hub. Before you can make money with the system, you have to activate Amazon account, which you can do from "My Account > Earnings > Settings. For those who are already affiliated, all you need to do is to copy your affiliate ID code into your Hubpages account. The code is usually found at the top left-hand corner of your Amazon affiliate homepage once you have signed in. What you see there depends on what you use as your tracking code during registration. Copy the tracking ID and head over to Hubpages, go to My Account > Earnings > Settings. Scroll down toward the end of the page, and you will see where you can paste the code. Click on get started on the left of the word Amazon. Once you've clicked on get started, you will be directed to where you can paste your tracking ID. Paste it and click on save, and your account will become active.